Move in Ready!! 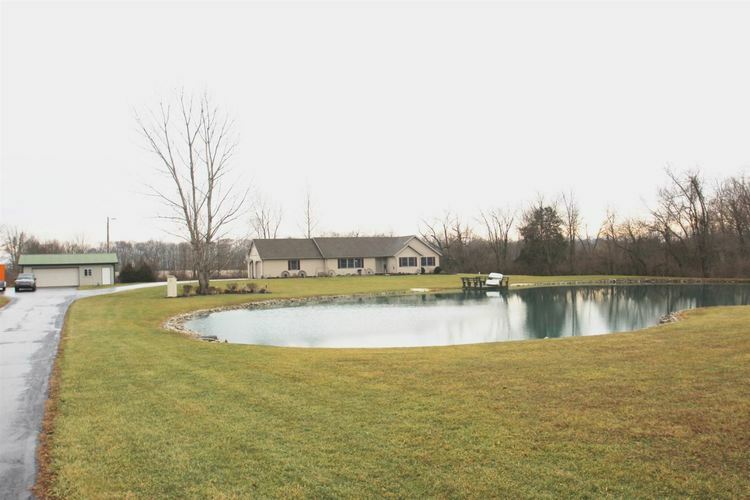 3 bedroom, 2.5 bath home located about 3 miles southwest of Wabash on 2.95 acres. Large foyer entry. Large living room opens into the kitchen and dining rooms. Hardwood floors in the foyer, dining room, hallway and part of the kitchen. Nice kitchen with new black stainless appliances just purchased in December 2018, breakfast bar/ island plus a large pantry cabinet. Large master bedroom and bath. Bath has a 5' shower and currently has the laundry in it which can be moved back to the original laundry room. Huge walk-in closet in the master bedroom with storage cubes that will remain. 2 large additional bedrooms with large closets and storage cubes. 910 sq ft basement area with a large rec room which has painted concrete walls and floor, mechanical room with a 1/2 bath and plumbing in place for a full bath, plus a smaller storage room. The basement also has an exterior entrance stairway. Over sized 2 car attached heated garage with a stairway to a 11' x 26' floored attic that could be finished into a bonus room. Plus a 24' x 32' detached garage. Nice small pond with wood pier. Priced below recent appraised value. Directions:St Rd 13 to Co Rd 500 S then west to Co Rd 400 W then south 1/4 mile.